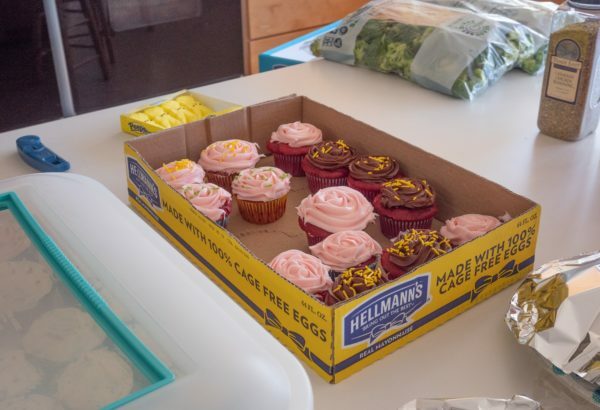 On Saturday, Mar. 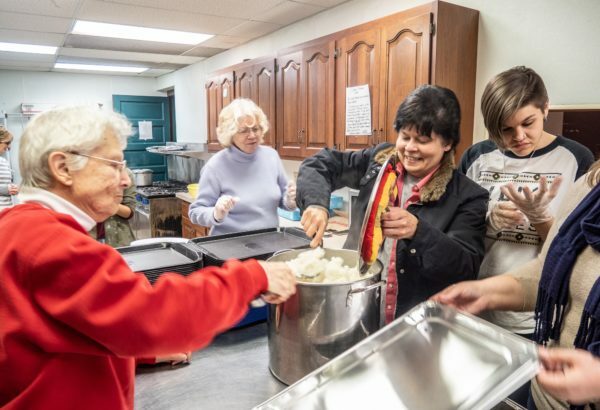 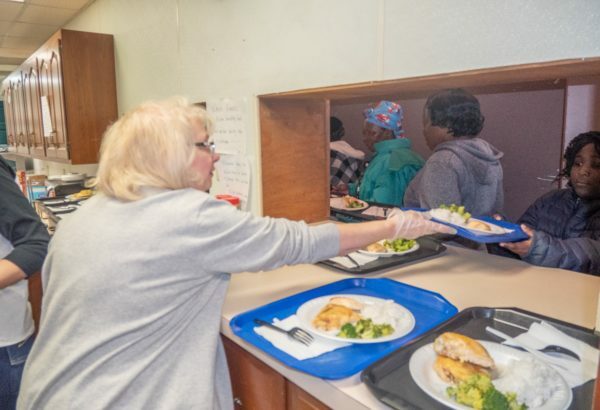 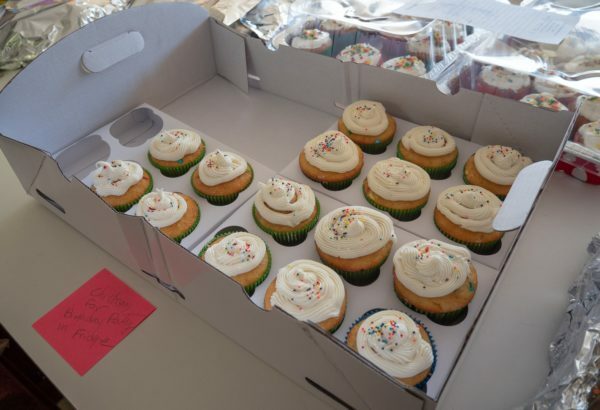 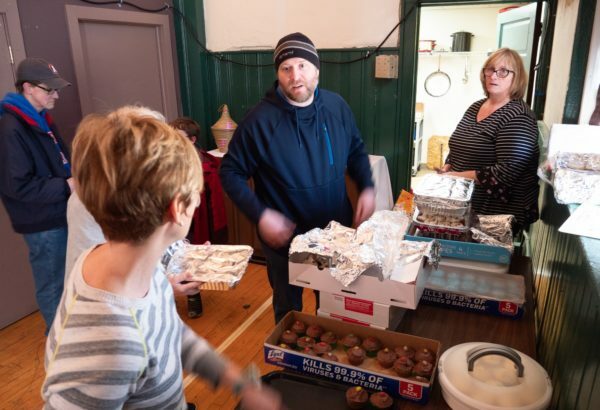 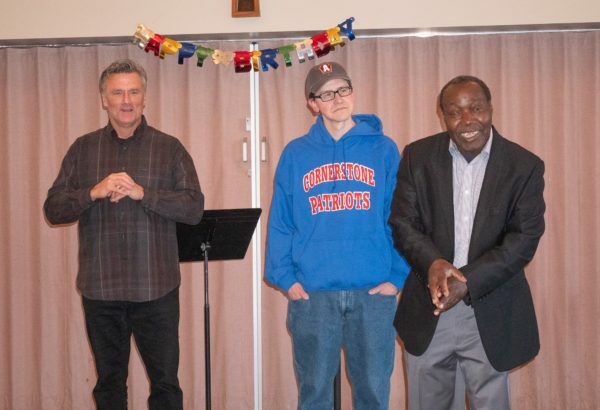 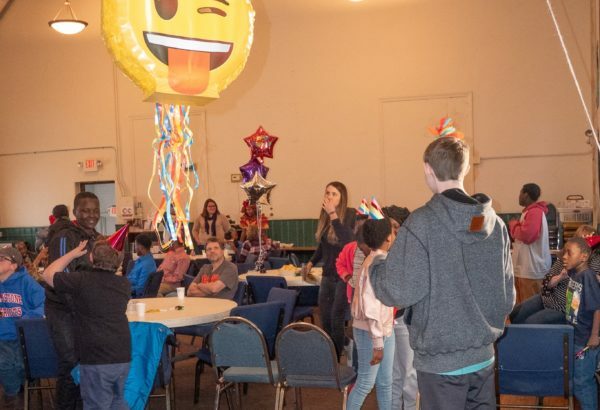 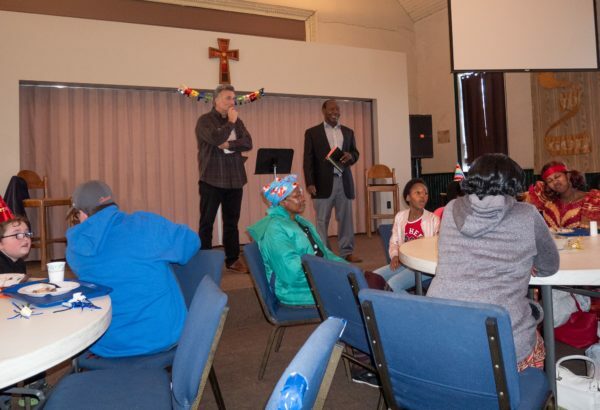 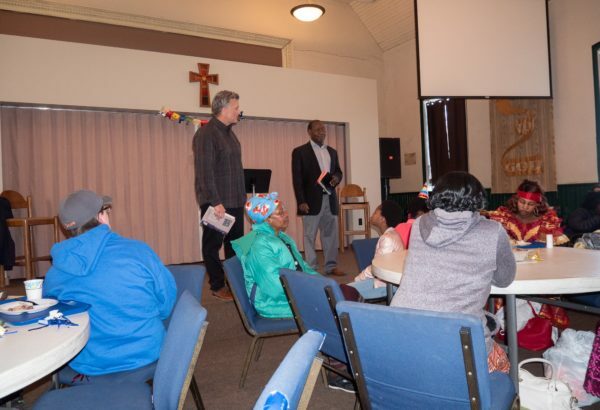 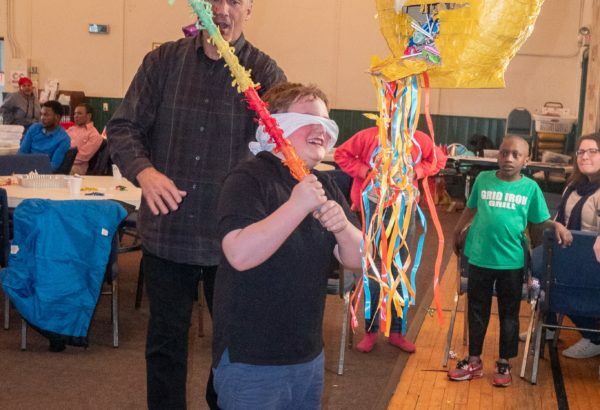 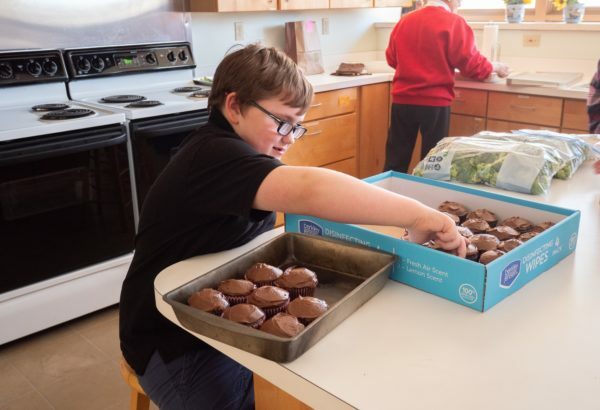 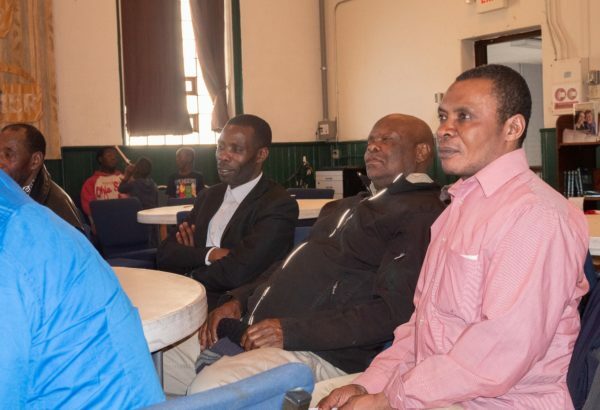 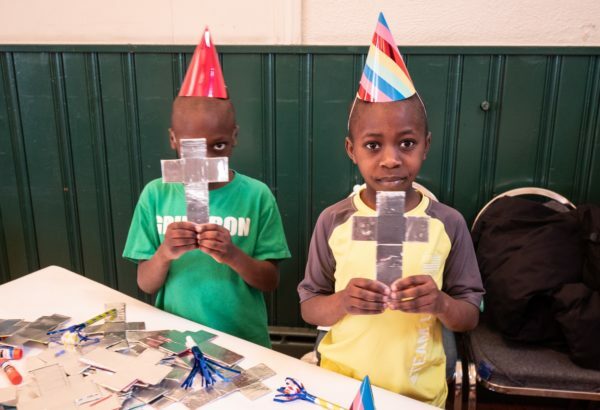 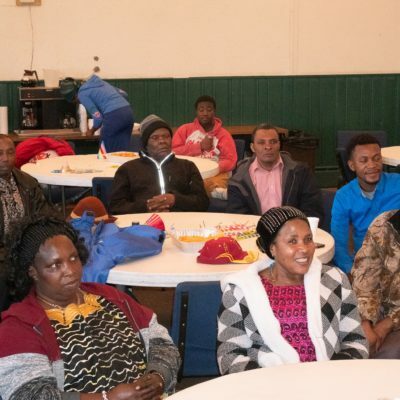 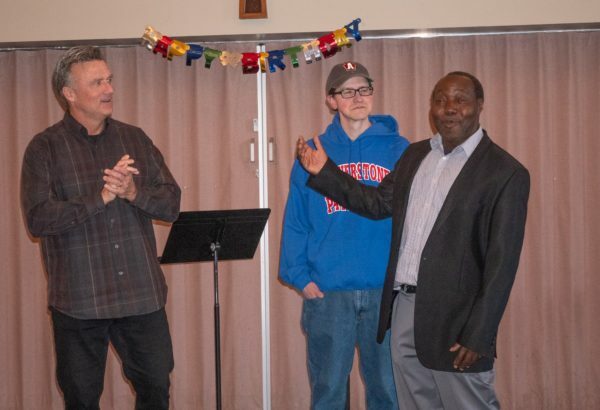 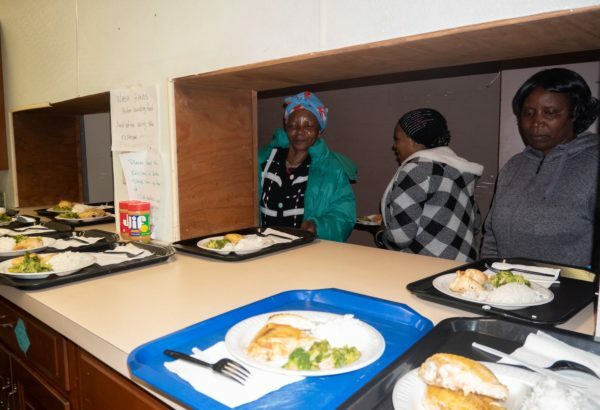 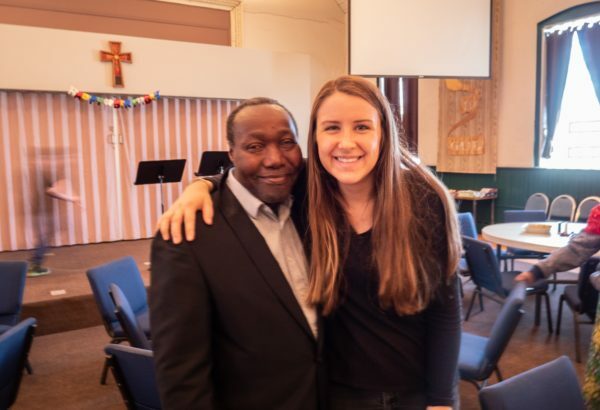 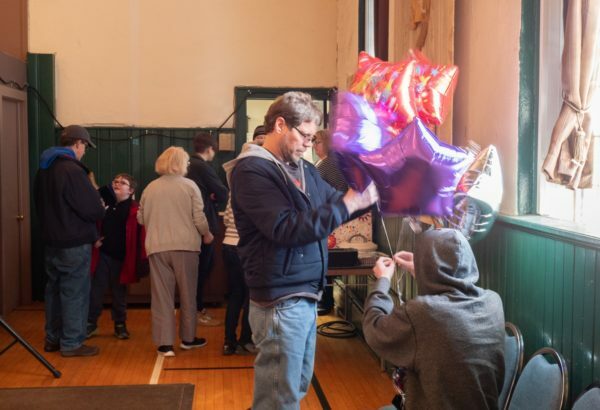 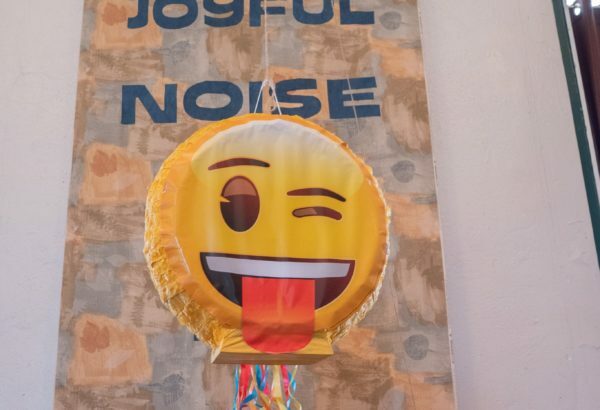 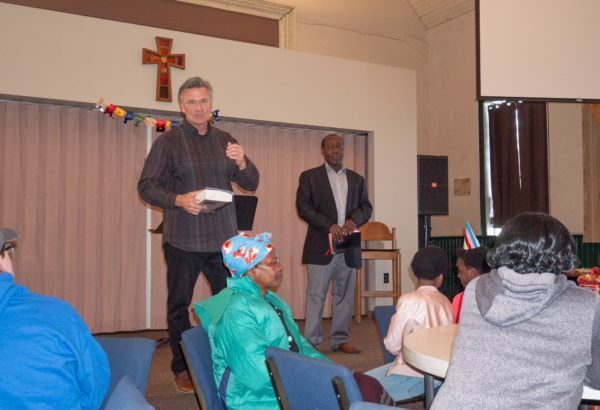 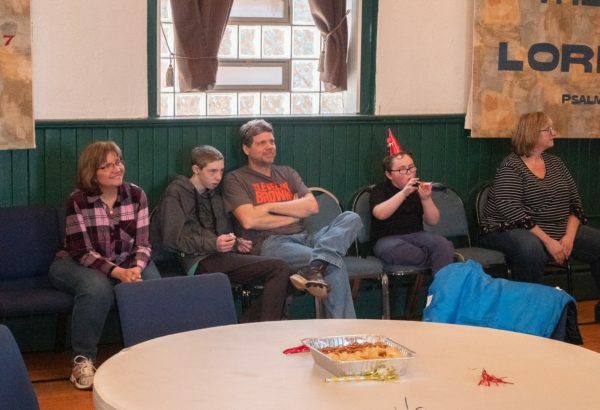 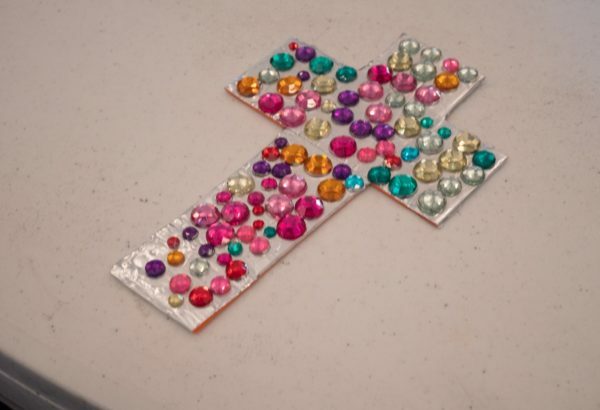 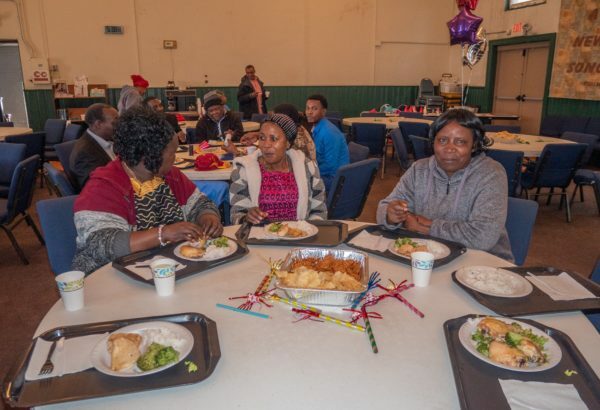 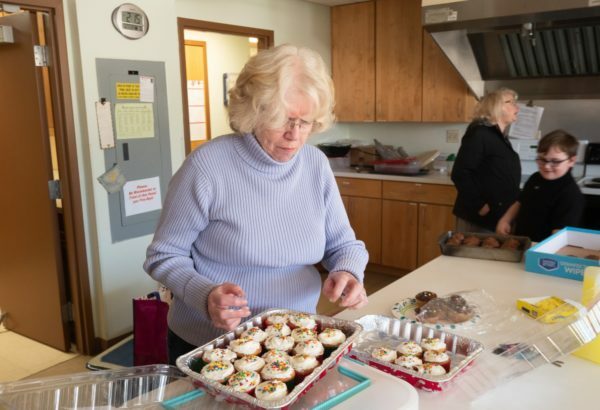 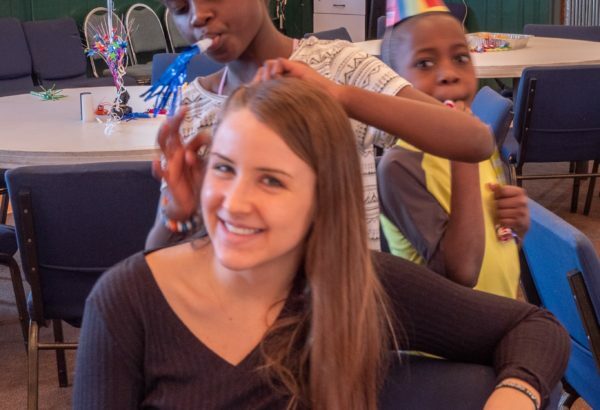 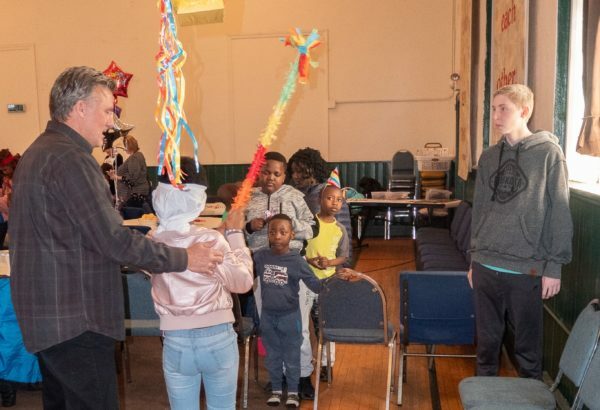 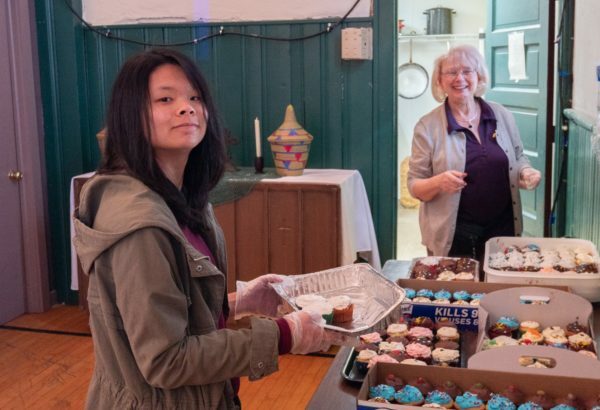 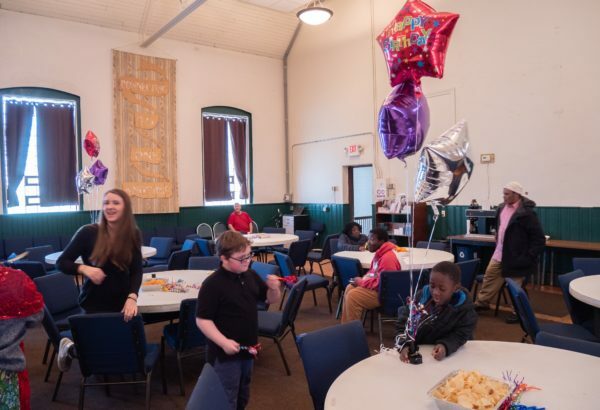 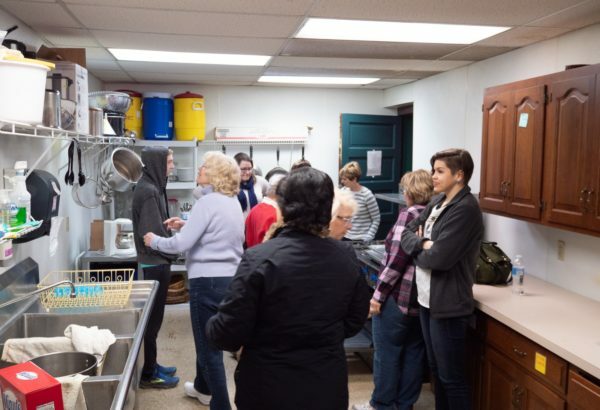 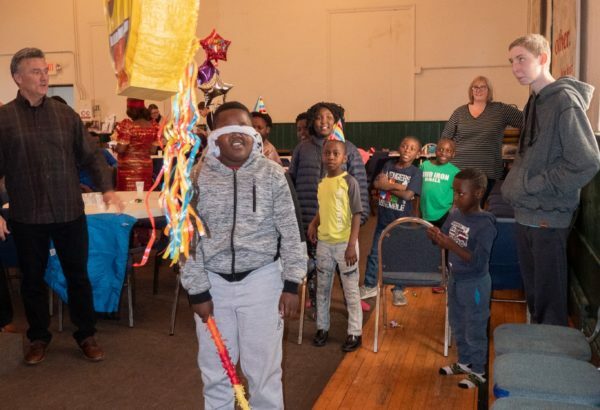 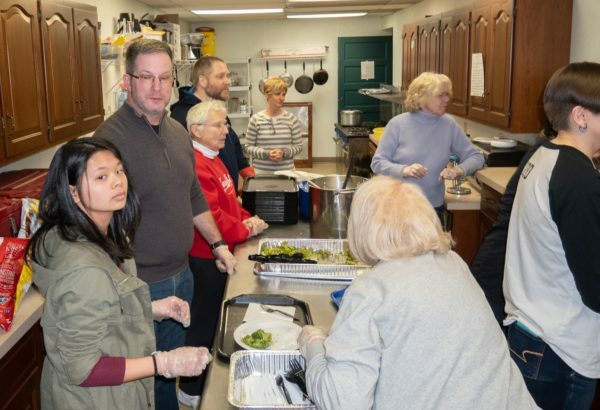 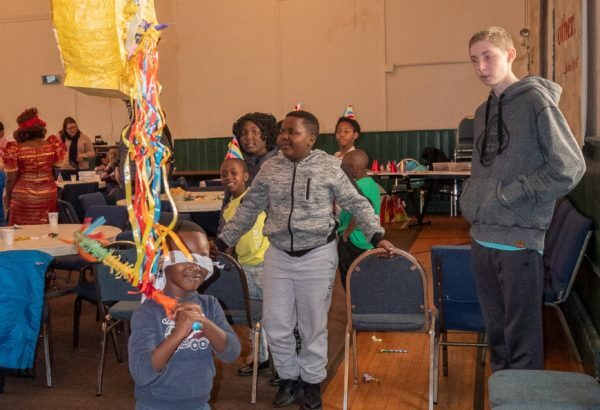 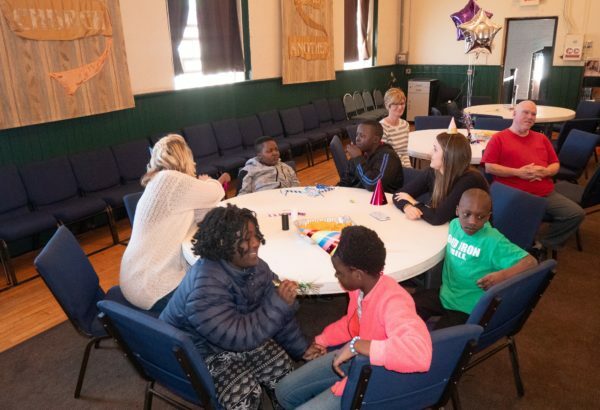 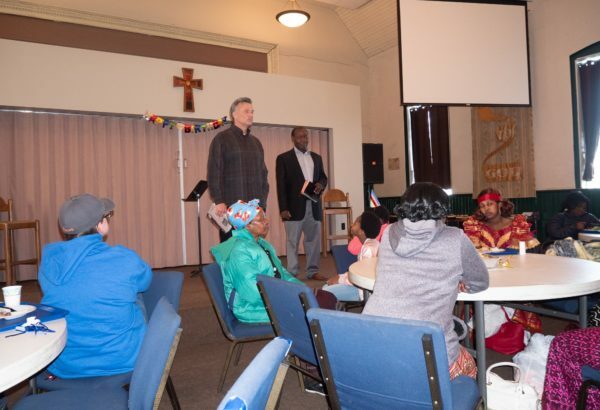 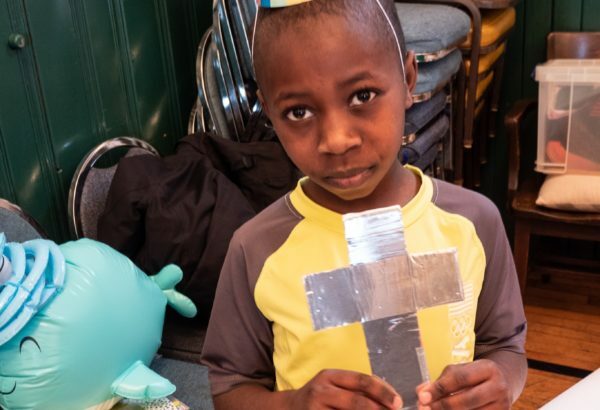 23, a team from St. Mark boarded “Prayer Force One” the church bus and headed to Trinity Lutheran in Ohio City to celebrate the birthdays of the African Refugees in Trinity’s Refugee Outreach program. 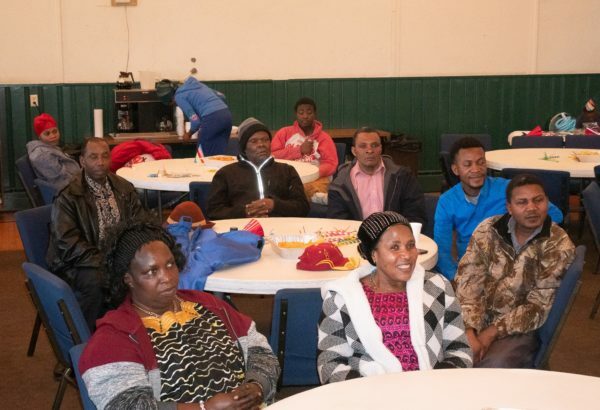 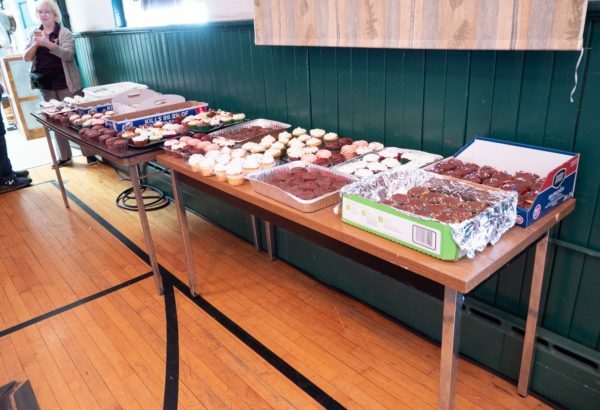 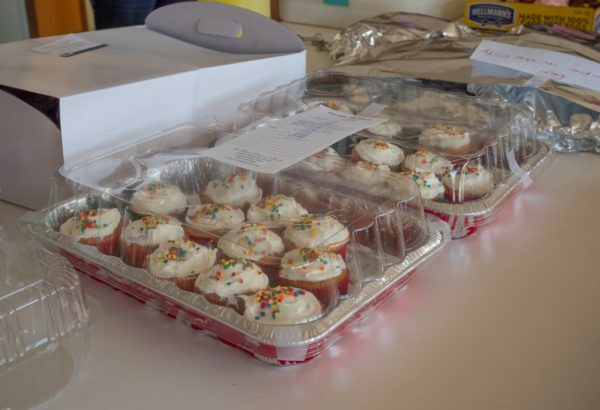 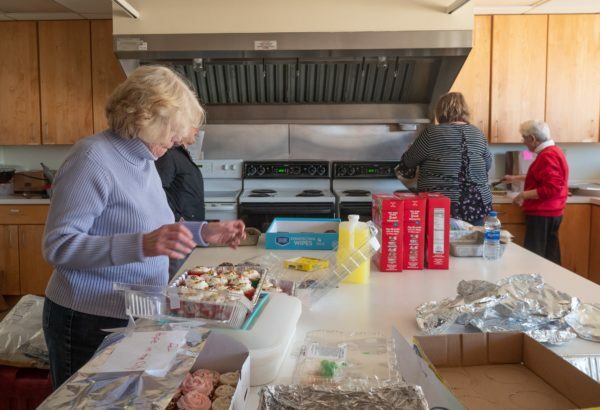 St. Mark members had baked cupcakes and the team served a chicken dinner to these refugees who are primarily from the Congo and Rwanda. 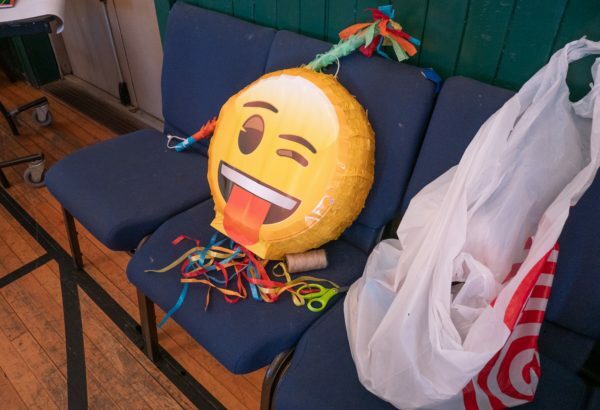 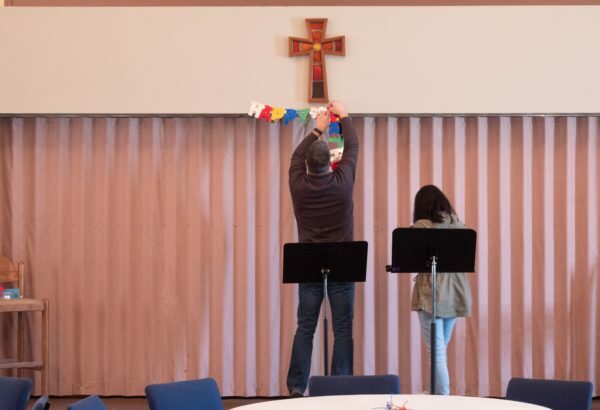 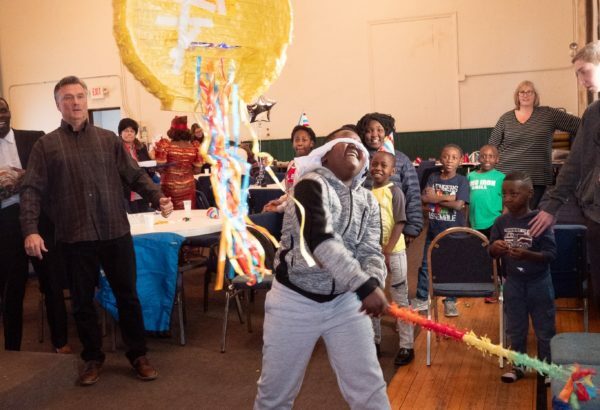 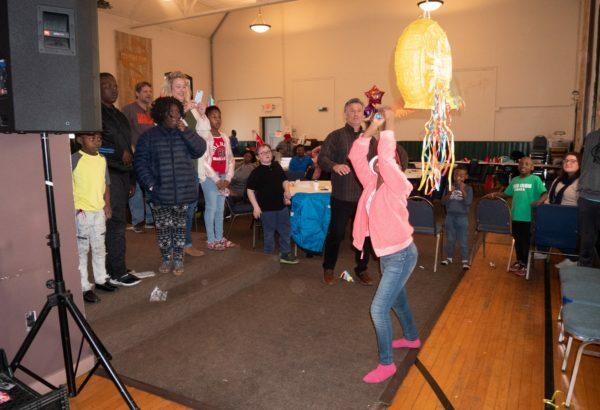 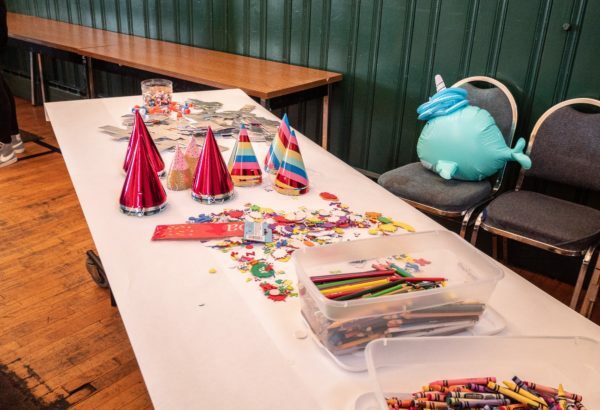 Pastor Jerry Mitchell shared the GOOD NEWS of Jesus Christ through an interpreter to the guests and the youngsters enjoyed the breaking of a Pinyata. 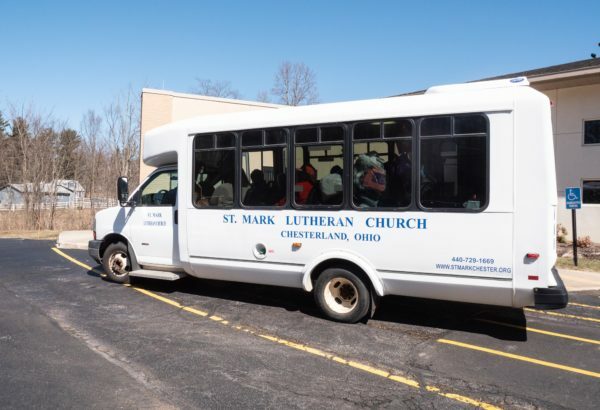 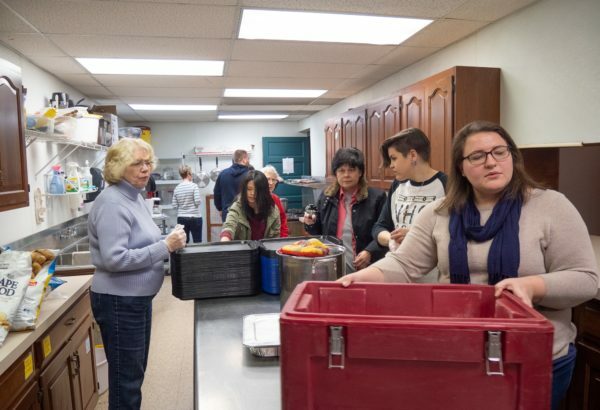 St. Mark also brought clothing and food, donated by St. Mark members, for the Trinity clothing ministry and food pantry. 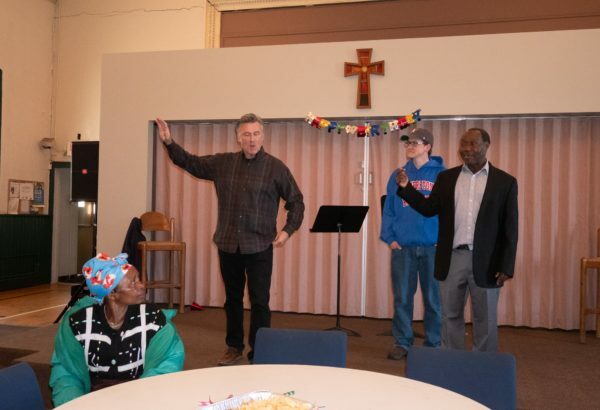 Many thanks to all that participated from St. Mark and Trinity who have worked in partnership to share the Gospel together for many years.